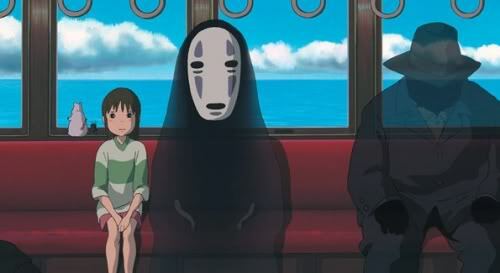 Every time I watch “Spirited Away,” I am in complete awe from start to finish. When Chihiro and her family discovered an abandoned amusement park on the way to their new house, Chihiro’s parents were turned into pigs right when the sun started setting and she found herself alone in an alternate universe full of strange creatures and spirits. Chihiro must then navigate in her new world and find a way to turn her parents to their original form and return to the human world. There many elements to love in this animated film. One of those elements was Chihiro’s drastic change from a whiny, spoiled girl to a mature individual who was capable of making decisions under extreme pressures. With the responsibilities that the bathhouse (where she had to work so that the witch would not turn her into a pig) had thrusted upon her, she eventually learned to break from her “me” mindset and really care for others. I also admired the fact that there were many morals that could be learned from this picture but none of those lessons felt heavy-handed. The movie merely showed what was happening and then it was up to us to determine why certain events were unfolding before our eyes. The concept of false first impressions was definitely at the forefront. Instead of making the hideous monsters one-dimensional, they turned out to be quite docile and adorable in their own ways. I particularly loved the raddish spirit, the stink spirit and No-Face because each of them were put under the spotlight at some point which at first suggested that they were not friendly or had something up their sleeves. The level of imagination of the picture was very impressive. Everything is so magical–from a giant baby capable of making threats to a one-footed lamp that worked as a guide–that it was able to easily entertain the kids and make the adults look back on childhood when anything seemed possible. Directed by Hayao Miyazaki, “Spirited Away” was a complex demonstration on the power of imagination. Or better yet, how our imagination can inspire us to pull something from within and make it a reality. I would also like to note that I believe this is stronger than Miyazaki’s other classic animated feature called “Princess Mononoke.” The reason why I prefer “Spirited Away” is that I feel like this one had more magic, depth and malleability. It really offers a first-rate adventure that is unforgettable.